President Putin arrived in Alma Ata, Kazakhstan. Putin.BLOG Foreign Policy Kazakhstan President Putin arrived in Alma Ata, Kazakhstan. Bilateral cooperation and key issues on the international agenda were the main subjects of discussion. 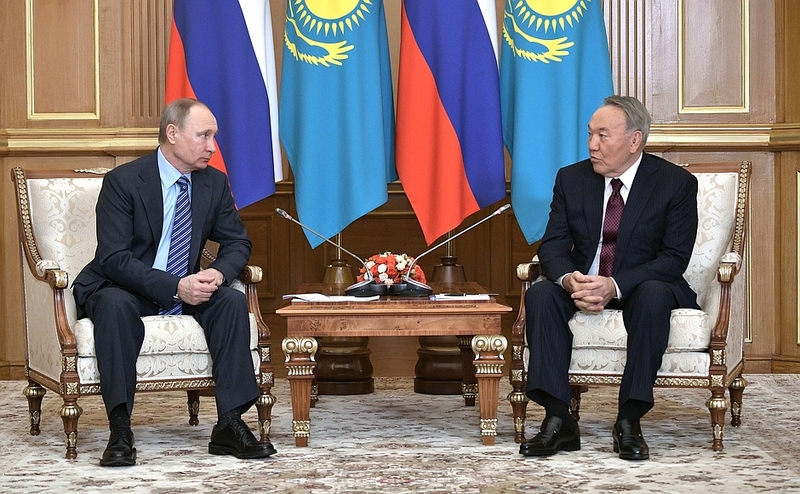 Mr. Putin also thanked Mr. Nazarbayev for organising the inter-Syrian talks in Astana. Russian President Vladimir Putin with President of Kazakhstan Nursultan Nazarbayev. Thank you very much for the invitation. We have had regular meetings since the start of the year, and in general, we have a busy programme of work and meetings. I would like to start this meeting by expressing our gratitude for your efforts to organise the inter-Syrian talks in Astana. 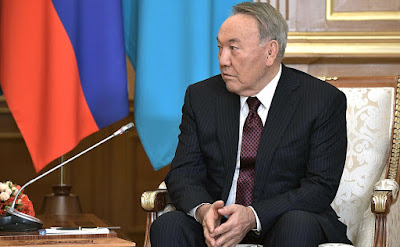 I know that Kazakhstan played a very positive role in this, not just as the host country and organiser, but also through its influence, which made it possible to produce some very positive results from the two rounds of talks organised in Astana. I know that you personally took part in this, worked with the delegations’ participants, and were instrumental in bringing these talks to a productive close. The talks produced progress in the form of a new ceasefire mechanism, and this is the biggest achievement really, as it laid a foundation that made it possible to continue the Geneva talks you just mentioned. Regarding our bilateral relations, our economic ties are the foundation here. 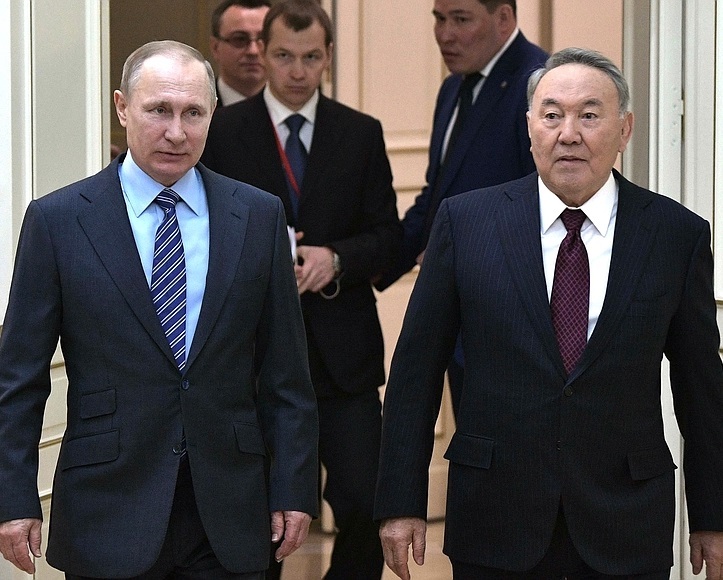 Kazakhstan is one of Russia’s key economic partners in the region, and you spoke of this too. It is true that our trade turnover has dropped somewhat in value terms. As we discussed, this is linked to the exchange rate difference, particularly the price fluctuations on the global markets for our main export goods. But in terms of physical volume, our trade turnover remains at its previous level. Our task is to increase the physical volume and achieve sustainable growth. This is all the more possible now that our integration efforts have put the needed conditions in place. The Eurasian Bank is working well now. The bank has already approved a project worth several billion dollars for Kazakhstan. I think this is a good sign and gives us reason to be confident that our economic relations will continue to develop. As for our foreign policy work, we count very much on the support of Kazakhstan, as a non-permanent member of the UN Security Council, in resolving global problems. Our integration work continues as planned. Of course, as in any undertaking, there are difficulties and problems that require attention from our countries’ leaders, and I hope that we will discuss all of these matters during our meeting today. 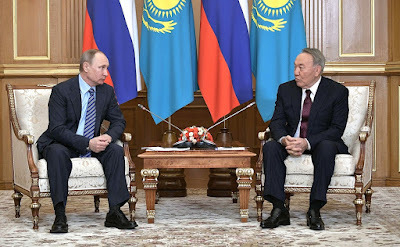 Vladimir Putin at a meeting with Preisdent of Kazakhstan Nursultan Nazarbayev. 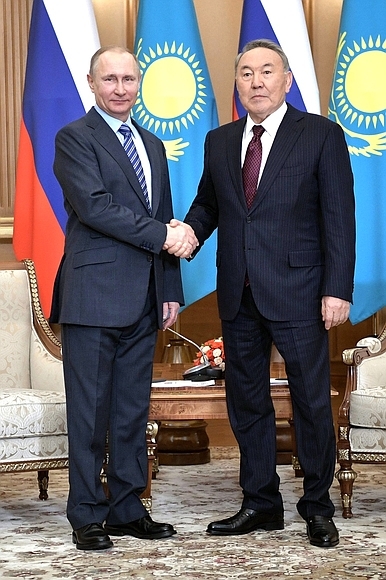 President Putin with Nursultan Nazarbayev. Presidents of Russia and Kazakhstan in Astana. 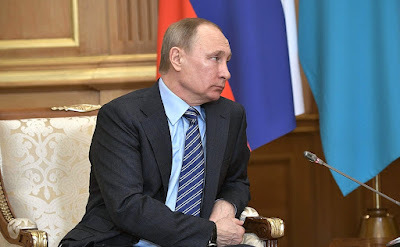 0 Comment to "President Putin arrived in Alma Ata, Kazakhstan."